They're wasting little time making a mark on the Melbourne market down at Bad Shepherd. The Cheltenham brewpub has been pulling crowds since opening late last year (when we discovered our last cab driver lived Bayside and told him to check it out, it turned out he'd already been with his family). Already, limited release number two is here. Following the Raspberry Wheat comes a second beer of a red hue, albeit not quite as fluorescent as its predecessor. 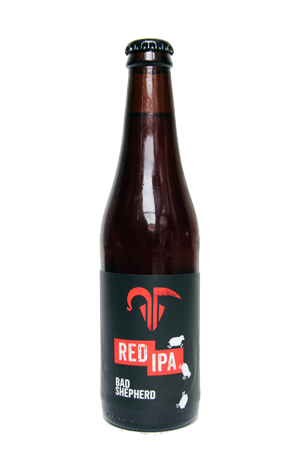 The Red IPA is another beer that suggests brewer Dereck Hales is one to keep an eye on. It sets five punchy hops – Simcoe, Centennial, Crystal, Cascade and Chinook – into battle with a selection of specialty malts; the former contribute peach, apricot and pine aromas, the latter sweet toffee and biscuits. There's welcome complexity to the flavours, a hint of alcohol and a clinging bitterness that reminds you that, while there's plenty of solid malts in there, it's an IPA at heart.